From a legal perspective, the world of corporate wellness has been pleasantly mellow as companies implement their first rounds of employee wellness programs. Most employers, at this point, incentivize employee wellness such that losing weight or decreasing blood pressure results in rewards for workers’ positive changes. Rewards range from hard cash to extra vacation days, decreased insurance premiums, or material gifts (such as water bottles and key chains or ipod’s and pedometers). 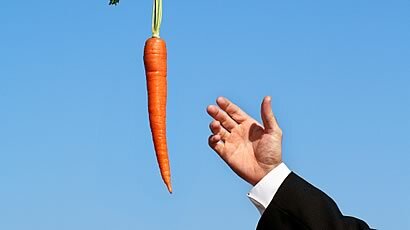 When employers use this “carrot method” of motivating workers to get healthy, it can improve office morale and give workers a deeper sense of job satisfaction. But what happens when employers start punishing employees for failing to meet wellness objectives? As wellness programs become stricter, driven by employer economics, and workers are evaluated on some level by adherence to a company-wide wellness program, there is considerably greater scrutiny of what constitutes appropriate employer conduct. For example, if an employee is let go or penalized for failing to reach a specific weight threshold, or is unsuccessful at quitting smoking, what rights does that employee have? This is an evolving area that pits company ROI against individual autonomy. How demanding can employers be when it comes to the health of their employees? What happens when the national battle to combat chronic disease and lower health care costs is prioritized over individual employee rights? Is an obese employee dispensable simply because he is obese? Can he – and more important, will he - claim disability (for example: underactive thyroid preventing weight loss is “not his fault”)? How public or subject to review can employees' personal medical records become? If and when employees are discharged or penalized for failing to reach a threshold of “healthy” determined by the company, no doubt lawsuits will abound. Courts and government agencies will be confronting these issues in the coming years as an increasing number of companies invest in workplace wellness, but as a corporate wellness company, our job is to reconcile any conflicting issues that arise and maximize client satisfaction. I really love the benefits of carrots. Always include this kind of food in your diet to maintain your health. Carrot contains vitamins that is good to our body. We should always include this in our meal. "If and when employees are discharged or penalized for failing to reach a threshold of “healthy” determined by the company, no doubt lawsuits will abound." I don't know if I go this right, but you're talking about the wellness industry, am I correct? If so, then requiring to meet certain requirements such as these aren't as ridiculous as the article implies. Save me from the scrutiny, just my two cents. Guys! Eat more vegetables stop visiting Mc Doland's !